Canta Napoli Canta Napoli is an independent apartment in the centre of Naples, a few steps from the Sant'Elmo Castle and 250 metres from the Morghen Cable Car. Set on 2 floors, the Canta Napoli apartment includes a bedroom, a bathroom, and a living room with kitchenette and sofa bed. The property is in the Vomero district, close to all services..
Casa del Plebiscito Located in the city centre of Naples, Casa del Plebiscito is a short 2-minute walk from Piazza Plebiscito. This self-catering accommodation features a kitchenette and modern décor. Holidays in Naples price per day from € 55 . 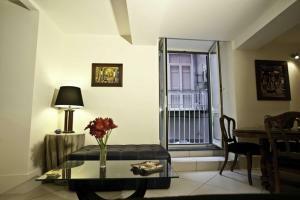 Chiaja Loft Featuring free Wi-Fi throughout, Chiaja Loft is located in the historic centre of Naples. Piazza del Plebiscito Square is a 5-minute walk away. It has an equipped kitchen and a washing machine is available, as well. 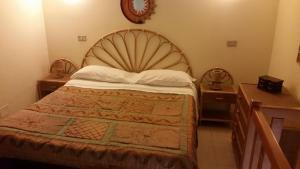 B&B Sofì price per day from € 80 . 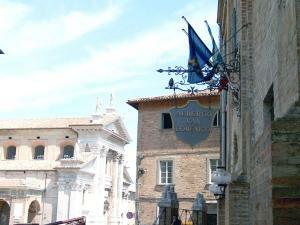 B&B Del Corso price per day from € 99 . Fiorentini Residence price per day from € 81 . Hotel Potenza price per day from € 92 . Weekend a Napoli price per day from € 105 . Similar tourist destinations in Italy: Verona, Sorrento, Lignano Sabbiadoro, Bibione, Lido Di Iesolo. Teatro di San Carlo, Naples, 0.5 km from the centre of town of Napoli. Museum San Martino, Naples, 1.4 km from the centre of town of Napoli. Museum Cappella Sansevero, Naples, 1.8 km from the centre of town of Napoli. Spaccanapoli, Naples, 1.9 km from the centre of town of Napoli. Archaeological Museum Naples, 2.2 km from the centre of town of Napoli. Catacombe di San Gennaro, Naples, 3.6 km from the centre of town of Napoli. Park Archeologico del Pausilypon, Naples, 7.1 km from the centre of town of Napoli. Ski resort Villaggio Palumbo, altitude: 1400m. 27 km from town of Napoli. Ski resort Fiorentini, number of ski pistes: 4. 33 km from town of Napoli. Ski resort Campo Felice, downhill pistes: 30km. 56 km from town of Napoli.